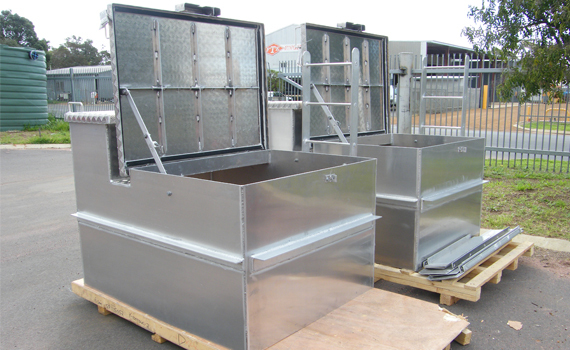 FTE Engineering specializes in welding and fabrication of aluminium for ramps, ladders, tool boxes, fuel tanks, storage, scaffolding and ute canopies. Customers preferred aluminium for their needs because of its distinctive characteristics; i.e: soft, durable, lightweight, ductile and being a malleable metal. Depending on the surface roughness of the aluminium, the appearance can range from silver to dull grey and it is non-magnetic and non-sparkling. Corrosion resistance can be excellent due to thin surface layer of aluminium oxide that forms when the metal is exposed to air, effectively preventing further oxidation. 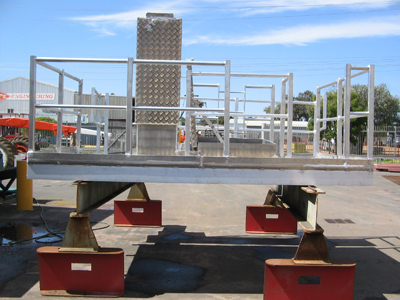 FTE Engineering has fabricated and fitted aluminium decking, ramps and ladders for various water tanks throughout regional Western Australia onbehalf of the Water Corporation. If you require further information regarding FTE Engineering's Welding Aluminium service, please do not hesitate to contact our Administration Office on (08) 9754 4777, where our friendly staff will be only to happy to help with your enquiry.